Just wanted to know when these will be available? It's been 4 months, any update? Thank you. We were recovering from a large order to Japan and new casting sources. Restocks of the 32nd F-4G Conversion, F-4 Exhaust, A-10 inlets, F-16 and F-15 wheels will gradually come up through the this and next month; in addition to some new products. Get those F-4G conversions up so I can release some 1/32 F-4G decals!!! Any eta on the F-4G conversion set for the Tamiya kit? I would love to get one. We're planning on a Tamiya G conversion, but it will also require a LEF/S conversion. It will come after this next big 32nd scale project we have in work. I know, I heard; we're pushing the 32nd scale F-4 sets. Jozef, What do you think of the F-4E slottled stabs and 32nd A-10 DRA? The 32nd DRAs will be out soon. February for the Slotted Stabs. Where you guys planning any other updates for the A-10 besides the "corrected inlets/fans and exhausts? More 32nd A-10 updates are in work. We will post more details the closer we get to production. Meantime, the DRAs will be releasing (re-release for 48th scale) soon. Nice, nice, very nice again. I am for everything on Phantom from you and A-10 has been looking for updates for a long time. Looking forward to all the news in 32nd. Any update on when the F-4G sets will be available? So now that Jakes big scale Weasel Sheet is out and Revell USA announcing a Geasel. Could you give us an update on the F4G update sets, especially the cockpit ? 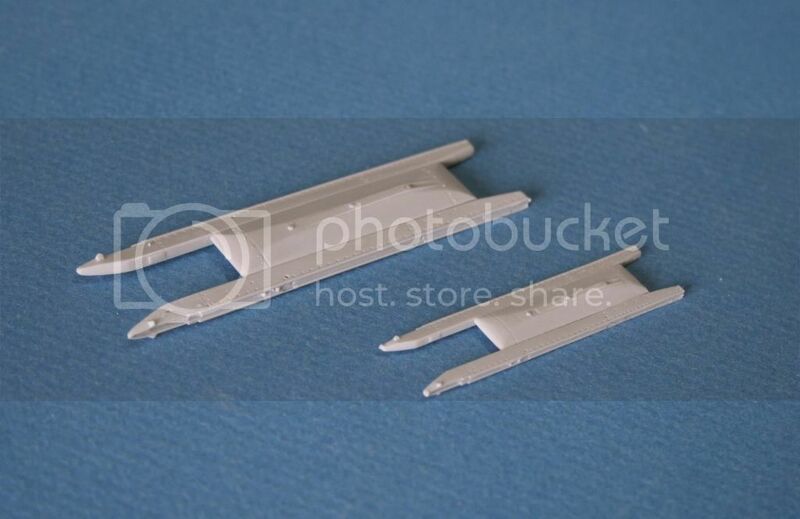 We have F-4G sets on hand for the Revell kit, along with the Intakes and J-79 Exhaust. The links will be coming on through out the week. As for a full blown cockpit, we're Working out a baseline cockpit for all the F-4; though it's going to while.